If Internet was a country then how would you measure its GDP? Well, I don’t know–hence I asked Google Now. After reviewing the results, I realized that much of the conversation around this topic was not really directly tackling this question but another related and important question as to How does a country’s GDP get influenced by contributions from Internet Economy? Their is acknowledgement on growing influence of Internet Economy on country’s GDP but the debate about how that influence is measured is yet to be settled. Either way, getting back to my hypothetical question about treating Internet like a country and attempting to measure its GDP –this weird thought came to my mind as I reflected on a recent NPR story about a recently release book Average is Over by Author and Economist Tyer Cowen. The central theme of this book is all about income inequality (in America) post-recession and elimination of mid-range jobs and rise of high end high paying jobs that need skills to exploit machine intelligence and will need innate skills in ability to make sense of massive amount of data getting generated. I am yet to get my hands on to the book but had the pleasure of listening to NPR interview live. I was intrigued by Tyer Cowen’s hypothesis on top 1% expanding to become top 15%, about how Internet powered with machine learning and precision-level data (about niches about all things and people connected to Internet ) will have a leveling effect on people with skills-n-will and geography will no longer be a barrier for success. In fact more people will have a shot at making it into the top 15% than before–thanks to crowd funding, viral videos stars, viral app-creators, unbundled free online educational content from Stanford to MIT and human resources pools optimized by crowd sourcing platforms. The more I reflected about Tyer’s hypothesis the more I felt it was hardly about a nation called America. I kind of felt it was more about the nation called Internet. The Internet is really a nation connected with all kinds of stuff, things. data, devices and most importantly people. Most physical countries will be exporting and importing from the Internet Nation. When more developing, curious, younger and hungry physical nations join the Internet Nation—some very specialized , high paying jobs from Internet Nation will become commodity–creating opportunity for more innovation for within ones in top 15% and ones outside of top 15%. 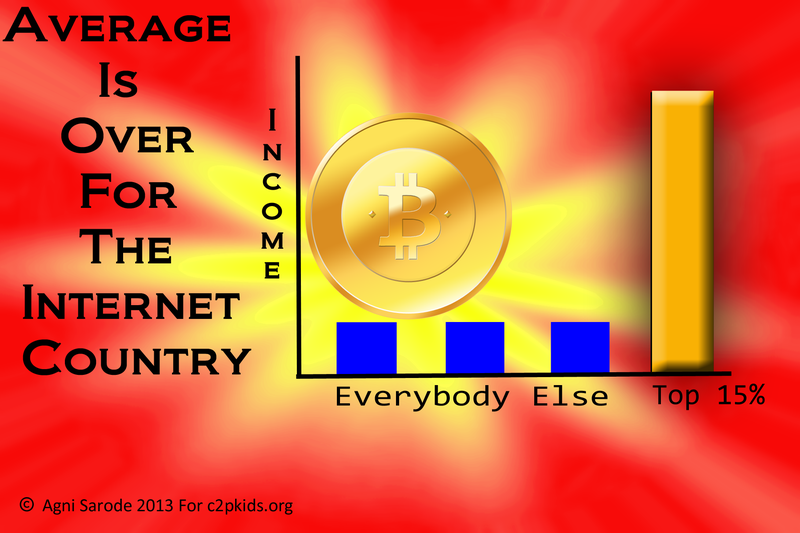 Staying in top 15% will become difficult unless we learn to continually learn till we retire out of Internet economy.